This band were first called The Stormeville Shakers. Their rare progressive album is now of minor interest to collectors. Mel Collins was later in King Crimson and Kokomo. Philip Goodhand-Tait had earlier recorded three 45s for Parlophone and after his spell with Circus he went on to record several solo albums. Chris Burrows had earlier played with Ray Anton and The Proform, and later had some involvement with Spirit Of John Morgan and Arthur Brown's Kingdom Come. Do You Dream? 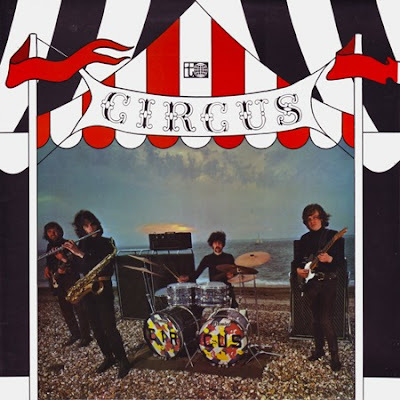 is a delightful piece of psychedelic pop and their first 45 was produced by Mike D'Abo.Chris Burrows later became a Buddhist monk, releasing four CDs of Buddhist percussion/chanting for the New Beginnings label. A great album,one of my favorite albums from the period! thanks for great music you shared with us all year around! great thanks a lot !!! !